The way Donald Trump tells it, his first solo project as a real estate developer, the conversion of a faded railroad hotel on 42nd Street into the sleek, 30-story Grand Hyatt, was a triumph from the very beginning. The hotel, Trump bragged in "Trump: The Art of the Deal," his 1987 best-seller, "was a hit from the first day. Gross operating profits now exceed $30 million a year." The project set the pattern for Trump's New York career: He used his father's, and, later, his own, extensive political connections, and relied on a huge amount of assistance from the government and taxpayers in the form of tax breaks, grants and incentives to benefit the 15 buildings at the core of his Manhattan real estate empire. Since then, Trump has reaped at least $885 million in tax breaks, grants and other subsidies for luxury apartments, hotels and office buildings in New York, according to city tax, housing and finance records. The subsidies helped him lower his own costs and sell apartments at higher prices because of their reduced taxes. Trump, the Republican nominee for president, has made clear over the course of his campaign how proud he is that "as a businessman I want to pay as little tax as possible." While it is impossible to assess how much Trump pays in personal or corporate income taxes, because he has refused to release his tax returns, an examination of his record as a New York developer shows how aggressively he has fought to lower the taxes on his projects. Trump successfully sued the administrations of Mayors Edward I. Koch, Rudy Giuliani and Michael R. Bloomberg after they denied him tax breaks for Trump Tower, his signature building on Fifth Avenue, and, two decades later, for Trump World Tower, on First Avenue, for what were some of the highest-priced condominiums in the city in 2001. No possible subsidy was left untapped. After the terrorist attacks on the World Trade Center, Trump lined up a $150,000 grant for one of his buildings near ground zero, taking advantage of a program to help small businesses in the area recover, even though he had acknowledged on the day of the attacks that his building was undamaged. "Donald Trump is probably worse than any other developer in his relentless pursuit of every single dime of taxpayer subsidies he can get his paws on," said Alicia Glen, Mayor Bill de Blasio's deputy mayor for housing and economic development, who first battled Trump when she worked in Giuliani's administration. In seeking those subsidies, Trump is not that different from many other developers. But the level of subsidies he has received along with his doggedness in claiming them seem at odds with his rhetoric as an outsider candidate who boasts of his single-handed success and who has denounced what he calls the pay-to-play culture of politics and a "rigged" system of government. Without addressing specific questions about his pursuit of tax breaks and other subsidies, Trump in a telephone interview defended going after them. "In many cases, they made the difference between building and not being able to build," he said. "I've gotten incentives in other parts of the world as well." In the mid-1970s, eager to make his mark in Manhattan, the 30-year-old Trump focused his attention on the failing Commodore Hotel on East 42nd Street, next to Grand Central Terminal. The owner, the bankrupt Penn Central Railroad, was keen to sell. It did not seem like an auspicious plan. The city was in the midst of both its own fiscal crisis and a broader economic one; the neighborhood near the terminal had gotten seedy; and Trump did not have the capital for the project. He needed his father, Fred C. Trump, to guarantee a portion of the construction loan. Hyatt, which was going to run the hotel, took a 50 percent stake in exchange for guaranteeing the rest of the project. But Trump insisted that the project was not viable without a tax break from the city. In pressing for government approval, Trump proved to be the quintessential insider, at least through his father: The elder Trump was a major contributor to and friend of Mayor Abraham D. Beame and Gov. Hugh L. Carey, both Democrats. "Fred was a big macher in Brooklyn," said Martin J. McLaughlin, a lobbyist who worked for Donald Trump in the 1990s. "He had an extremely close relationship with Beame and Carey." Trump visited a young city official, Michael Bailkin, who devised a plan centered on a 40-year tax abatement, still the longest ever granted by the city, under which the state would own the land beneath the hotel and lease it to the partnership for $1 a year. "I viewed him as another developer, one with limited experience, but coming from a family with a lot of experience," Bailkin recalled in an interview. Trump had one other qualification. "He did say," Bailkin added, "the administration would support it." Carey was on board. But Trump needed the state's Urban Development Corp. to go along. He hired Louise Sunshine, the governor's chief fundraiser, who arranged a meeting with the head of the agency, Richard Ravitch. Ravitch said in a recent interview that he responded frankly after Trump laid out the project: "It'd be great to have a Hyatt on 42nd Street. I thought it'd be successful. But I don't think it should be exempt from taxation." Trump stood up, Ravitch recalled, "and said, 'If you don't give me an exemption I'll have you fired.'" Sunshine did not respond to requests for comment. In the end, after phone calls from Beame and other Democratic politicians, Ravitch agreed to the abatement, though the partners in the hotel had to pay a modest rent for the land based on a percentage of their profits and allow for subway entrances to be built nearby. Trump said the decision was made on the merits. "We were a contributor like many people were contributors," he said. "But there never was a quid pro quo." After a $120 million overhaul, the hotel, now sheathed in black glass, opened to great fanfare in 1980. 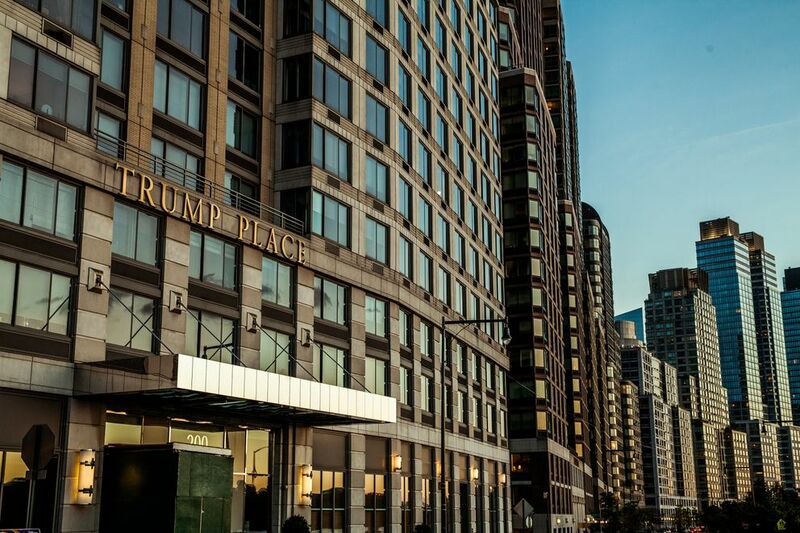 Even before it opened, though, Trump had infuriated the new mayor, Koch, by reneging on the promise to allow for access to the subway on the east and west sides of the hotel. Trump eventually granted the western easement and allowed the Metropolitan Transportation Authority to build a stairwell but shed his responsibility for the other entryway. City officials initially estimated that Trump's tax break was worth $4 million a year. But according to a recent analysis conducted by the city's Finance Department at the request of The New York Times, the actual annual giveaway was far higher: $6.3 million in 1983, rising to $17.8 million this year. The combined value of the forgiven taxes is $359.3 million, with four years left on the abatement. Over the same period, the hotel's owners have paid the city $202.5 million in rent and fees, according to the state agency overseeing the project, Empire State Development. Trump said the tax break did what it was supposed to do. "The hotel was a great success for the city," he said. "It regenerated interest in that area." But early on, the city suspected something was amiss with the rent payments, when the total dropped in 1986, despite rising profits. 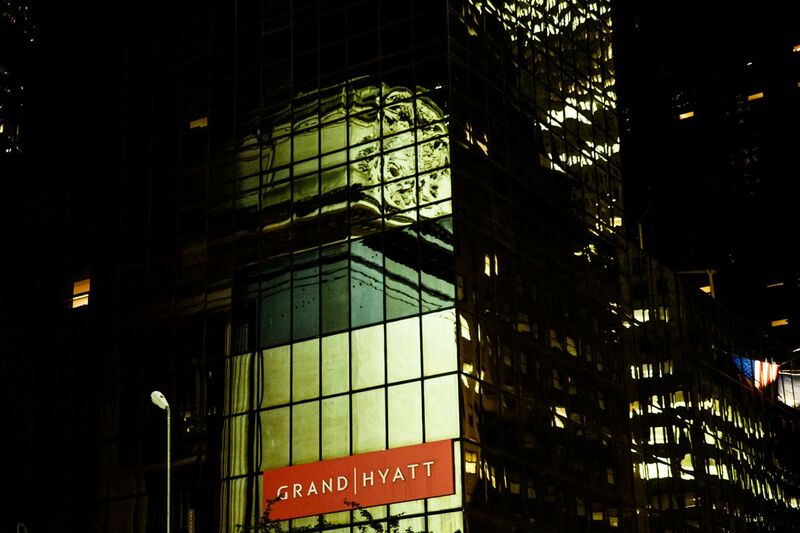 A 1989 review by Karen Burstein, the city's auditor general at the time, found that Trump and Hyatt owed the city $2.9 million for 1986, having used "aberrant and distortive" accounting methods to reduce their obligation. "This was subsidized by city residents," Burstein said recently of the tax break. "The last thing you do is cheat the very people who are your partners." After the city and state demanded payment, the hotel partners sued them in 1990. The hotel settled in 2004. Neither court files nor the city's Law Department have a copy of the agreement, but a city official who requested anonymity because the person was not authorized to discuss the matter, suggested that the city recouped $850,000. By the time of the settlement, the Pritzker family, which controls the Hyatt hotel chain, had paid Trump $140 million for his share of the hotel, after their partnership turned acrimonious. When the Hyatt opened, Trump was already at work on a second project: Trump Tower, the 58-story, bronze-glass building that would become his home, the headquarters for his company and a tourist attraction. The idea was to raze the Bonwit Teller department store, whose prestigious Fifth Avenue address he described as a "Tiffany location." To build what he called "the ultimate vision of an elegant life seen through a golden eye," Trump wanted a 10-year property tax break under the city's 421-a program, which was created in 1971 to stimulate housing construction. As the city's economy rebounded, 421-a and programs like it were coming under criticism as giveaways to developers. The Koch administration rejected Trump's application, saying the project did not qualify because he was replacing a store with hundreds of employees and sales of $30 million, rather than an "underutilized property." Trump sued the city in 1981. Justice Arnold L. Fein of the Appellate Division ruled in the city's favor, writing that 421-a "hardly contemplates the grant of benefits at the most choice, already adequately utilized location in Manhattan to create residential luxury apartments." Trump appealed and in 1984, the New York State Court of Appeals ruled that the city's action had "impermissibly erected a barrier to the benefit," and Trump was entitled to the tax abatement. Trump said at the time that the abatement was worth $7 million to $10 million over 10 years. The Finance Department, however, said in its recent analysis that the value of the benefit totaled $22.5 million. Trump later got an additional $15 million tax break under a separate program for renovating the tower's commercial space. Trump continued to fight the Koch administration's attempts to restrict the tax breaks or to require developer concessions, such as subsidized apartments, in return. After the administration refused to provide tens of millions of dollars in benefits for another project, on the West Side of Manhattan, Trump declared: "the city under Ed Koch is a disaster." It is easy to understand why the tax breaks were so important to a developer like Trump. During the two- to three-year construction phase, when there is no rental or sales money coming in, a 421-a tax abatement can save a developer millions of dollars in taxes, because the property is taxed at the rate in effect before improvements are made. Once a building is completed and its apartments are sold, the benefits accrue to the buyers, significantly lowering taxes and making the apartments more appealing. In the offering plan for a new two-bedroom penthouse at 120 Riverside Blvd. in the Trump Place-Riverside South development, which stretches from 59th Street to 72nd Street on Manhattan's West Side, the estimated first-year real estate taxes were $617 because of the building's 421-a tax abatement. Without the subsidy, the taxes on the apartment, which was listed at $1.6 million in 2004, would have been $32,916. "It was a great selling point," said Charles P. Reiss, a retired executive vice president for development at the Trump Organization. "For condos, the monthly fee was greatly reduced." The benefit declines over time, with the apartment owner paying full taxes after 10 years. After winning the court battle over Trump Tower, Trump received 421-a tax benefits from the Koch administration worth $20.8 million for his Trump Plaza and Trump Palace projects. During the 1990s and into the 2000s, Trump built a number of New York projects without taxpayer subsidies. But he continued to chase benefits, large — and small. For instance, he sought, and received, a tax abatement worth $48,000 for the conversion of a condominium tower called Trump Parc East under Giuliani. And after the Sept. 11 attacks, he obtained a $150,000 grant for 40 Wall Street, an office tower eight blocks from ground zero, through a small-business recovery program. In the hours after the attacks, Trump told German television that his property "wasn't, fortunately, affected by what happened at the World Trade Center." At the other end of the spectrum, there was the 10-year tax abatement he got on seven apartment buildings in Trump Place-Riverside South in which he held a partial stake. According to the Finance Department analysis, the city forgave a combined $331.8 million in property taxes on the buildings, which were completed from 1998 to 2005. Under the revised rules governing the 421-a program, Trump was required to set aside 700 of the 3,494 apartments — roughly 20 percent — for low- and moderate-income tenants. In 2000, Trump began marketing a new condominium near the United Nations, Trump World Tower, which his brochures described as the "newest — and the most spectacular — achievement of the Trump Organization." Again, he wanted the city to give him a 421-a tax break. Glen, then an assistant commissioner at the city's Division of Housing Finance, judged the project ineligible for public benefits. After the city's court battle with Trump over Trump Tower, the City Council had passed legislation dictating that 421-a benefits no longer be used to demolish usable buildings at taxpayer expense. In a letter to Trump's lawyer, Glen said Trump World Tower was to be built on the site of a functioning office building, and denied him the tax break. Trump sued and the state Supreme Court ordered the city to review his application. Unable to make any headway, Trump filed a second lawsuit, which ended in 2003 with a settlement that granted Trump a 10-year exemption worth $119.5 million for the 371-unit condo, according to the Finance Department. In return, he paid $9.65 million for tax certificates from another developer for 124 apartments for low- and moderate-income tenants elsewhere in the city, according to court records. He also had to forego a tax abatement during construction. In 2002, apartments at Trump World Tower sold for an average of $1,046 per square foot, or $1.5 million for a small two-bedroom. "His whole MO is to exploit the government for everything he could get," said Jerilyn Perine, the city housing commissioner during the Giuliani and Bloomberg administrations. "In the end, the letter of the law gave it to him."